At Danbury in Tallmadge, we nurture lives filled with vitality, friendship, and plenty of activity. Our location, convenient to shopping and leisure activities in a beautiful setting, is a perfect match to our unique approach to independent senior living, assisted living, and memory care community. Schedule a tour today! Danbury Senior Living provides many amenities for the convenience, comfort and overall well-being of our residents; from community entertainment and activities to deliciously prepared meals with friendship, fellowship, and fun. Danbury Senior Living in Tallmadge offers a variety of convenient amenities designed with our residents’ comfort in mind. At Danbury in Tallmadge, it’s all about friends! Gather in one of our many comfortable community areas, including our outdoor patios and courtyards, bistro, pub, theatre, art and craft studio, fitness room, and spa. Danbury at Tallmadge offers the best things in life! Spend your day the way you’d like by relaxing with friends or participating in one of our many enrichment activities designed to pique your interest. Want to get out and explore a bit? Check out the many quaint restaurants, shops, and parks in Tallmadge. Our staff is led by a group of leaders who help set the standards for our senior living community. Meet the friendly faces at Danbury in Tallmadge! A graduate of Youngstown State University with a BS in Marketing and Management, Kathy Wingert’s passion for senior living began as a volunteer in an assisted living community. The foundation of Kathy’s leadership philosophy includes open communication, attention to details and positive energy. Kathy is married and the mother of three adult daughters, one granddaughter and another grandchild on the way! In her spare time, she and her husband enjoy gardening and playing with their three dogs. With over ten years dedicated service within the assisted living and skilled care settings; Magone began her career as a care associate, then as a licensed practical nurse and as a registered nurse. Magone’s unique skill set also includes expertise in dementia and memory care programming as well as hospice and palliative care measures. Magone’s listening skills coupled with her mentoring abilities allow her to develop dynamic and caring teams that truly “go above and beyond”. She considers it a privilege to work in the “home” of seniors she serves. Magone enjoys scrapbooking and spending time with family, especially her two sons; ages seven and two. With over thirty years clinical experience within the local hospital and school systems coupled with sales expertise within the post-acute and senior living markets, Marge is an outstanding resource for everyone she comes in contact with. Her listening and compassion skills allow Marge to make instant connections and lasting relationships. She is the mother of two daughters and the grandmother of two granddaughters. She also enjoys volunteering within the community, including serving as a Eucharistic Minister and Wedding Coordinator, serving on the League for Service board and within the school system. A graduate of University of Akron with a BA within honors in Business and Organizational Communications, Sally has over ten years related experience with a national insurance company and with senior living communities. She is proud to serve as a trusted resource to residents, families, staff members and the community at large. Sally is married with three adult children, five grandchildren, and a brand new puppy! She enjoys hiking in national parks and serves as an active member of Kiwanis. Chad joined the Danbury team in March of 2019. 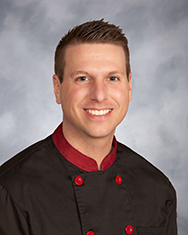 He obtained his hospitality management degree with a focus in culinary arts from the University of Akron in 2006. Chad helped run two of the largest restaurants in Northeast Ohio between 2006 and 2011. He began his career in health care in 2001. He enjoys going to the gym on a daily basis and also does personal meal prep for clients. Chad enjoys time with family and friends and his dog, Mavis. He enjoys traveling and going to a Mexican resort once a year for R&R. Kari’s “calling” to make a difference in the lives of seniors stems from her experiences of living with her grandmother, who had Alzheimer’s disease. A graduate of The Ohio State University with a BS in Human Ecology, Kari applies her personal and work experiences with her tenacious creativity to make routine things become exhilarating events. Kari has a son, James, who is the “apple of her eye”. They enjoy family time, watching movies and antique shopping. With over sixteen years building, maintenance and plant operations experience within the senior living, healthcare and hospital settings, Michael received training via North Canton Hoover Vocational School. He has extensive knowledge in life safety, disaster preparedness, and environmental standards. Michael’s positive outlook and strong team-building skills allow him to foster an energizing and inspiring atmosphere. Michael and his wife, Annette have been married since 1988 and are proud parents of three children: Hillary, Hannah, and Noah. They enjoy taking family hikes, mountain climbing and watching all Cleveland sports teams.